“Vagaries of the Commons,” curated by Sarah Fritchey, will be on view July 25 through September 13. Brooke and I are participating in a group show revolving around the concept of the “commons” in today’s increasingly privatized public spaces. The curated artists are cultural producers that interact with the gray zones of private vs public to investigate various social issues. 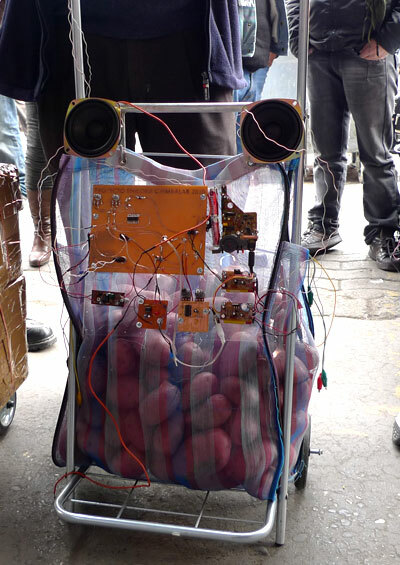 Our food collection and compost bike for the ongoing project EXCESS NYC is on exhibit and on Saturday, September 13th, we will be collecting food and having a picnic as part of that day’s closing events. Here’s the full description or go to the Artspace site that also includes links to the artists. Artists and contributors include: Brad Armstrong, Ricardo Miranda and Brooke Singer; Lani Asuncion and Gary Aronsen; Mengyu Chen; The Elm City Dance Collective; Jason Friedes; Focus Lessness (Michael Romano and Milton Laüfer), Occupy New Haven; Phil Lique; Project Storefronts; Scott Shuldt; and Under 91 Project. In 2014, this concept is increasingly complex. Legislation pertaining to the regulation and privatization of common space responds to changes in government, the economy, the sciences and our natural surroundings. Also, the concept of the commons extends far into the charted and uncharted vacuums of the digital realm. The exhibition is organized to mindfully accompany Laureline Kruse’s Mobile Museum Student Apprenticeship Program project, which will share an exhibition space with the show. The exhibition “portables” opens August 14th at the Museo Nacional de Bellas Artes, Mall Plaza Vespucio and will run through September 19th. 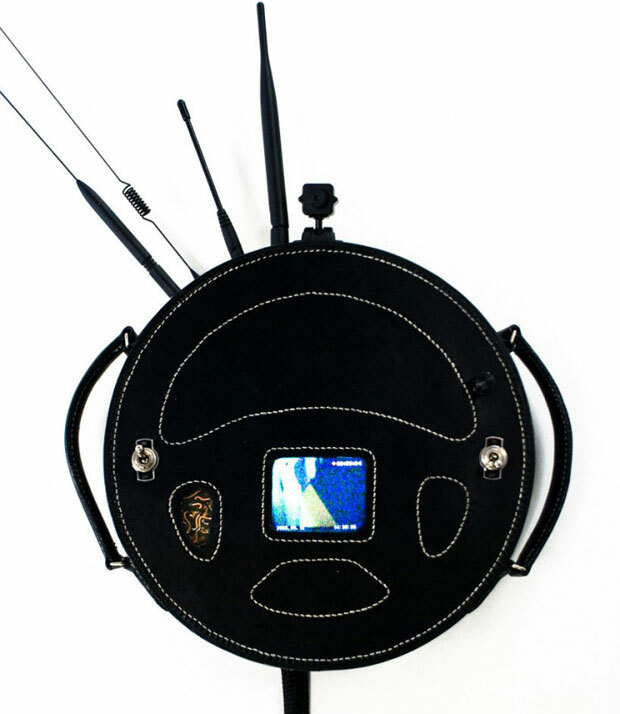 The show presents an array of artists using portable electronics as a creative medium and is curated by Ignacio Nieto. The show includes Michelle Teran, Chimbalab, Alejandra Perez, Carolina Pino, GraphTech, Otto Von Busch, Ricardo Miranda Zuniga and Kurt Olmstead. 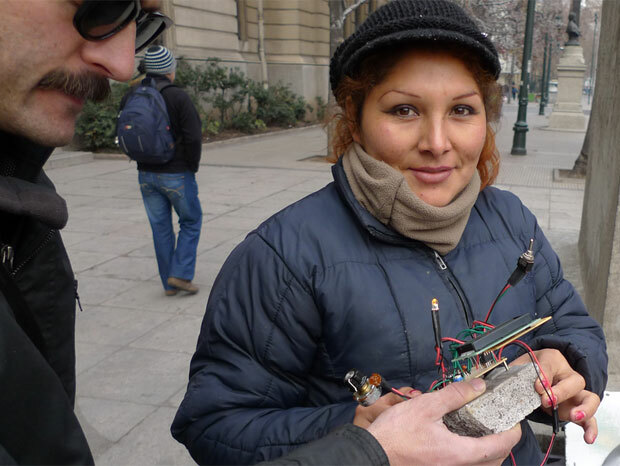 Pedestrians are questioned through a piece of sidewalk as electronic portable… What is the Miracle of Chile?